See see full post and related links, click here. I have found during my time in public service if someone is on the wrong side of an issue, the best they can do is attempt to confuse the public with statements that do not reflect the facts. This is what is happening with those who are campaigning against Amendment 1, the Farming Rights Amendment. One of the leading opponents of Amendment 1 is former Lieutenant Governor Joe Maxwell. Mr. Maxwell has been making statements that Amendment 1 will only be for the benefit of large foreign corporations and will actually harm Missouri’s family farmers. While I personally respect Mr. Maxwell for his years of service in Missouri government, these accusations are simply not true. It should be pointed out that Mr. Maxwell is Vice President of Outreach & Engagement of the Humane Society of the United States. This is the same organization that spent millions of dollars in our state attempting to put one segment of Missouri agriculture out of business and has also pushed legislation in other states attacking hunting and fishing rights. If passed, Amendment 1 will protect all farmers and ranchers in Missouri. From the individual raising a few calves or laying hens to a row crop farm consisting of thousands of acres, the rights and protections afforded by Amendment 1 will ensure Missouri’s farmers are able to continue their operations free from unreasonable intrusion from outside interests. As with any industry in Missouri, agricultural operations will still be subject to the laws and regulations of the state. For those who claim Amendment 1 will take away local control, language was added specifically subjecting the amendment to the provisions of Article VI of the Missouri Constitution. 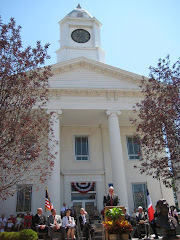 Article VI addresses the duties and rights of local and county governments. This fact is never mentioned by those opposing Amendment 1. I had the privilege of being heavily involved in the drafting of the language of Amendment 1. I approached this task from the perspective of being a small farmer myself. As I looked around at those helping with the language, I saw other small farmers and representatives of farmers and ranchers who just want to earn a living for their families. What I did NOT see were people advocating for foreign ownership of farm land, representatives of large corporations, or people pushing for loss of local control. This legislation was drafted by farmer/legislators for farmers and ranchers. The members of the Missouri Legislature, both in the House and Senate, are very aware of the thoughts and concerns of their constituents. When Amendment 1 came up for a final vote in the House, the tally was 132-25. Those members voting yes represent approximately 4.89 million citizens of Missouri. The final vote in the Senate was 28-6. Those 28 Senators who voted yes represent approximately 4.95 million citizens. Our state is currently the number one target for outside interests who are attempting to control every aspect of production agriculture. Missourians see clearly what Amendment 1 represents and what its effect will be. Trying to confuse the issue with misleading statements is a shameful way to conduct a campaign. 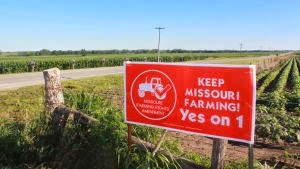 I urge you to join with me and vote YES on August 5 to keep Missouri farming; vote YES on Amendment 1.